Tue., 14 Jan. - Tue., 21 Jan. Mon., 23 Sep. - Mon., 7 Oct.
See all 613 properties in San Francisco Intl. 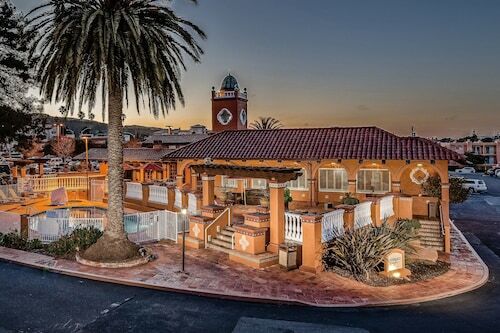 Best Western Plus El Rancho Inn sits off highway I-101, 15 miles (24 km) south of downtown San Francisco. The hotel's free 24-hour shuttle service can speed guests to San Francisco International Airport in around 10 minutes. BART Millbrae Station is a 5-minute cab ride. 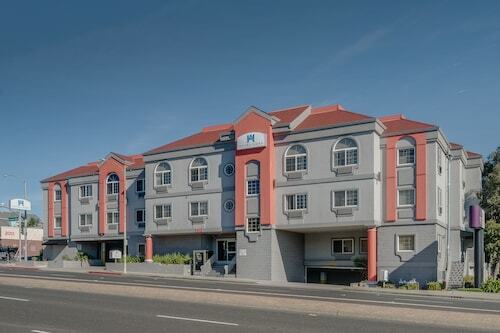 Close to Silicon Valley's high-tech corridor, this 7-story hotel is 2 miles from San Francisco International Airport and 10 miles from downtown San Francisco and AT&T Park. 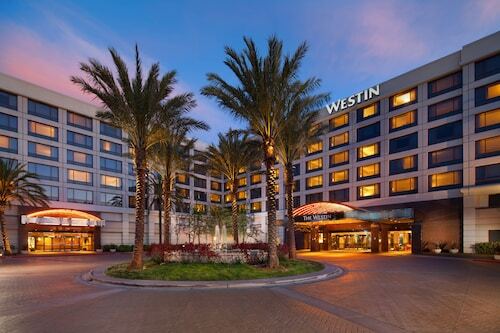 This 200-room hotel is 2 miles north of San Francisco International Airport and 10 miles from downtown San Francisco. 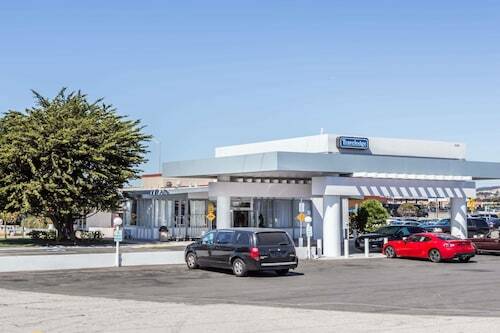 Situated near the airport, this hotel is 0.5 mi (0.8 km) from Millbrae Square Shopping Center and 1.9 mi (3 km) from San Francisco Bay. Artichoke Joe's Casino and The Shops at Tanforan are also within 3 mi (5 km). Millbrae Station is 24 minutes by foot and San Bruno Station is 24 minutes. 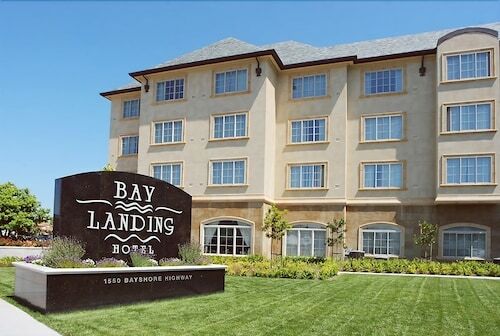 Adjacent to San Francisco Bay, this hotel sits on a quiet strip across from a bayside park and jogging path, 1 mile from a BART station, and 3 miles from the San Francisco airport. 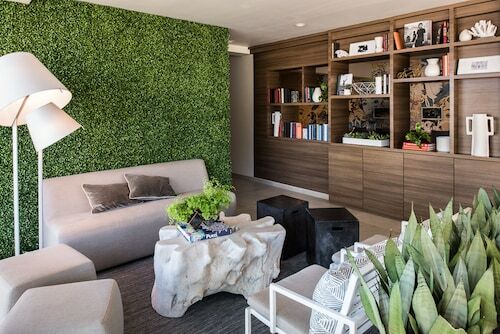 The Dylan at SFO is conveniently located just 1 mile (1.6 kilometers) from the San Francisco International Airport (SFO), and within 100 yards of the Millbrae BART/CalTrain station, making it a breeze to travel to downtown San Francisco or the Silicon Valley. 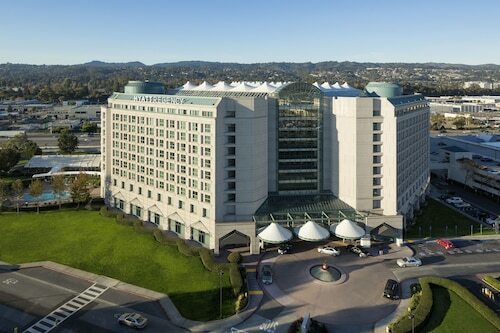 Situated near the airport, this hotel is within 1 mi (2 km) of Artichoke Joe's Casino and Millbrae Square Shopping Center. The Shops at Tanforan is 1.4 mi (2.2 km) away. San Bruno Station is 11 minutes by foot and San Bruno Metro Station is 30 minutes. SJC-Norman Y. Mineta San Jose Intl. Question : How long is the flight from BOS to SFO? Answer : If you're able to take the direct flight (which is offered by Virgin America), you will be able to leave BOS at 4:15 PM EDT and get to SFO at 7:40 PM PDT (six hours and 25 minutes). Remember, there is a time change of three hours. Question : What is the cheapest airline flying from Boston to San Francisco? Answer : American Airlines is offering the best deal at $282. Better book your ticket quickly because prices range all the way up to $1,806 over the next three months. Question : How much is a plane ticket to San Francisco (SFO) from Boston (BOS)? Answer : Cost can range from $282 to $1,806, prices for BOS to SFO change less than most routes in the United States. Prices are usually lower the further out you book. Question : How many flights are there per day from Boston to San Francisco? Answer : The number does differ by the day of the week, but on average, you can expect 27 different choice of flight times when you book. Compared to the average route departing the United States with nine flight times, you'll have more choices than most. Answer : The cheapest day to fly from Boston to San Francisco is on Wednesday. If you want to save some money on your next business trip look for flights on that day. Question : How much time do people spend in San Francisco? Answer : The average time spent sightseeing in San Francisco by passengers from Boston is eight days. However long you decide to stay, give yourself plenty of time to see what makes San Francisco fantastic. Answer : When you’re flying from BOS to SFO, the day with the most flight times is Sunday, with 29 different options. Saturday currently offers the least amount of flight times with 23 options.